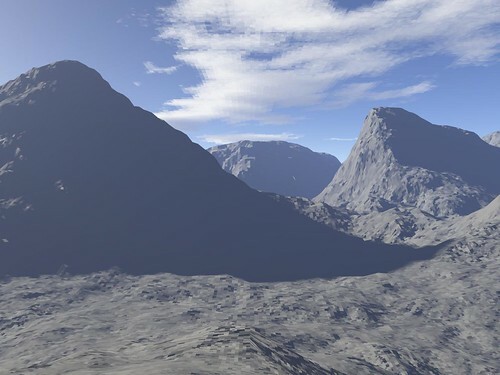 Yeah, the Terragen free version has a cap on file size. I suspect that buying the upgrade would remove this problem. That being said, Bryce is truly the “Rolls Royce” for rendering landscapes. I’m not sure what Terragen really gives me that I can’t do in Bryce (perhaps a smaller learning curve?…not really sure). Anyway, thanks Tommi for your comments.